I recently asked on Facebook what peoples worst hair problems were. There was a whole lot of frizz related complaints so I thought I’d help you tackle some of them. There are a few different causes ranging from humid weather (yay Auckland weather!) to naturally curly hair frizz. I have fine, blonde hair which is notorious for frizz! 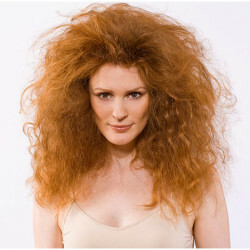 I’ve found the most common factors for frizz are dry or damaged and using the wrong products. So the only way you are going to combat ANY frizz is with good hair products. Ditch the cheap shampoo from the supermarket because all those stripping ingredients are only going to make it worse by making it drier. This can be frizz that is at the roots or at the ends or everything in between. You need to start with the right shampoo for your hair. Your hair may not look dry but chances are it is in need of a boost. Especially in the changing of the season. Summer dries your hair with the sun, winter dries it out with the wind…Then there’s heat styling, colouring, bleaching, swimming, hair driers……so really you can’t win here! You need a moisturizing shampoo (and no that doesn’t automatically mean its going to weigh your hair down, we have many light options that contain lots of moisture). This shampoo is going to stop your hair from being stripped of moisture as salon shampoo’s don’t contain any stripping ingredients like non-salon ones do. Steer clear of anything with sulphates (SLS and the like). Everyone also needs to be using some kind of styling product before they dry their hair off. This is what is going to be keeping the frizz down and moisturising your hair while protecting it from the environment. If your hair isn’t coloured or bleached, just a plain old moisture shampoo is perfect. We have Melu by Davines which is quite light but is especially to keep long hair healthy without weighing it down. The conditioner is thick but also doesn’t weigh it down and leaves it super shiny. Next you need, need, NEED some kind of protection from the hair dryer or the environment. This needs to be something you put in before you blow dry. Oi Oil or All in One Milk by Davines is perfect. My hair would be a fuzzy mess without it. It moisturises and adds protection from everything while making your hair super soft. And because it is a DRY oil, its not greasy and is absorbed by your hair completely which means also no heaviness or oiliness. Apply these to your mid-lengths and ends and you can use either on fine hair. Probably best not to air dry your hair. I know if I let mine dry naturally it also goes fluffy. The hairdryer smoothes down the cuticles which in turn smoothes down the hair and you can put your hair where YOU want it rather than leaving it dry where IT wants to be…..makes sense right? Sometimes your hair needs a little extra help, like if it’s windy or super humid. Try good old hair spray. Try a light hairspray like Evo Helmut, nothing with too much hold because you aren’t creating a massive up-do, you are just smoothing. A light spray over the affected area’s (this is perfect for halo frizz, those pesky ones on the top of your head by your roots!) and use the back of a comb to lightly smooth it down. DON’T use your fingers because the hairspray will stick the hair to your fingers and make it worse. Being a blonde, I know that we need all the help we can get right? Coloured and blonde hair is usually frizzy because it a bit more damaged than natural hair (or a LOT more damaged, depending on what you’ve been doing to it!). In this case you are going to need a strengthening shampoo. Evo Ritual Salvation is what I use because it also has moisture in it. Using just a strengthening shampoo can leave your hair quite hard and brittle feeling so you need the moisture to soften it. Ritual Salvation is the best shampoo I’ve EVER used…and that’s saying something. If you are in need of a little more repair, the Mane Prescription Treatment, used once a week is beautiful. Again, none of these are heavy. I use my treatment every 2nd wash because I bounce between colours all the time so it gets a beating. I then use the Oi Oil or All in One Milk before I blow wave and my hair is left perfect! This is the routine I used in Fiji recently, where it was really humid and NO FLUFF!!! If you have curly hair and like to wear it curly you need one that’s specifically for curly hair as that will enhance and moisturise your curls in all the right places. Our Love Curl Shampoo and Conditioner by Davines is perfect and smells amazing. Its not heavy so can be used on wavy hair too. Next I recommend either Davines Curl Serum if you need a bit of extra smoothing down or the curl. This has a bit of hold in it but without the crunch, perfect for scrunch drying or air drying of curly hair. It works best by twirling each curl with it and leaving to dry before you run your fingers through to separate. If your hair isn’t super curly or thick, you can use Oi Oil and do the same thing. Another amazing find is the Holistic Hair Sea Salt Spray. This will give you an even curl…instead of those random annoying straight bits! Its not sticky and leaves your hair feeling like hair instead of sandy beach like some Sea Salt Sprays. Once your hair is dry, spritz it down so its damp again and let it work its magic. If you are wanting to wear it straight you need something that is going to help it stay straight as its naturally going to want to bounce. Also because you are using hot tools to straighten it, its going to need extra love. Davines Love Smooth Shampoo & Conditioner is extra moisturizing and a little heavier so great for keeping it straight. Probably NOT recommended for fine hair though. Using a straightening serum is also best for smoothing it down and extra moisture. Happy Campers by Evo has a little hold and also has sun and cholrine protections. Smooth through hair before drying. You also need to be using a heat protection. Melu Thermal Shield is a spray in which you spray in dry before straightening. We have a leave in conditioner called Know Knott by Evo, this is a moisturiser and detangler which is amazing for fine hair. Do not use instead of conditioner. Even fine hair needs conditioner, just the RIGHT conditioner. CUTS ARE IMPORTANT!! No matter what you put in your hair, if you are in need of a haircut and have shaggy ends, there’s no hiding them. For long hair that you are growing we recommend a trim and shape up every 8 – 10 weeks (shorten in summer or if you are blonde), for short we usually say every 5-6. Nothing repairs split ends, no matter how much it claims to. Another option is our new Cezanne Smoothing System. It is essentially a straightener but meant to smooth the frizz rather than make your hair poker straight. It is very gentle on the hair and makes your hair much easier and quicker to do in the mornings. It speeds up straightening times and you can still curl it. It’s lasts up to 4 months and does make your hair super straight to start with but softens out after a couple of weeks. Imagine perfect hair for 4 months!!!! I hope you picked up some helpful tips. Comment below if I missed out your frizz problem and we can add it to the list.